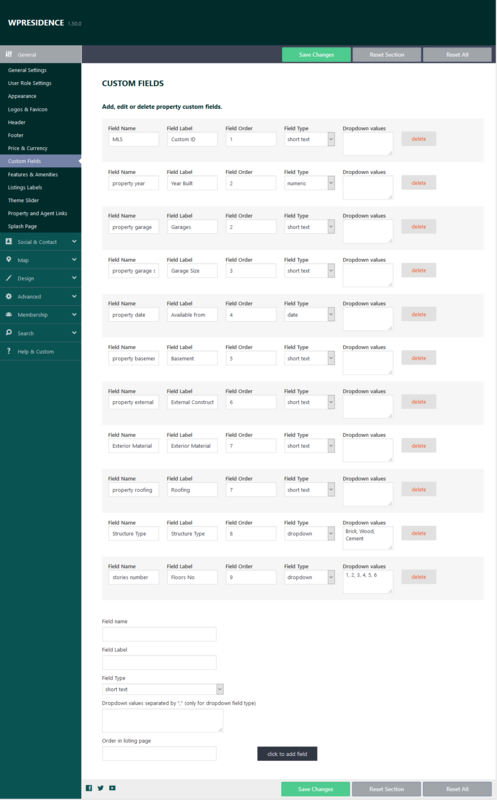 If you wish to add custom fields, you can do that from General Options – Custom fields. 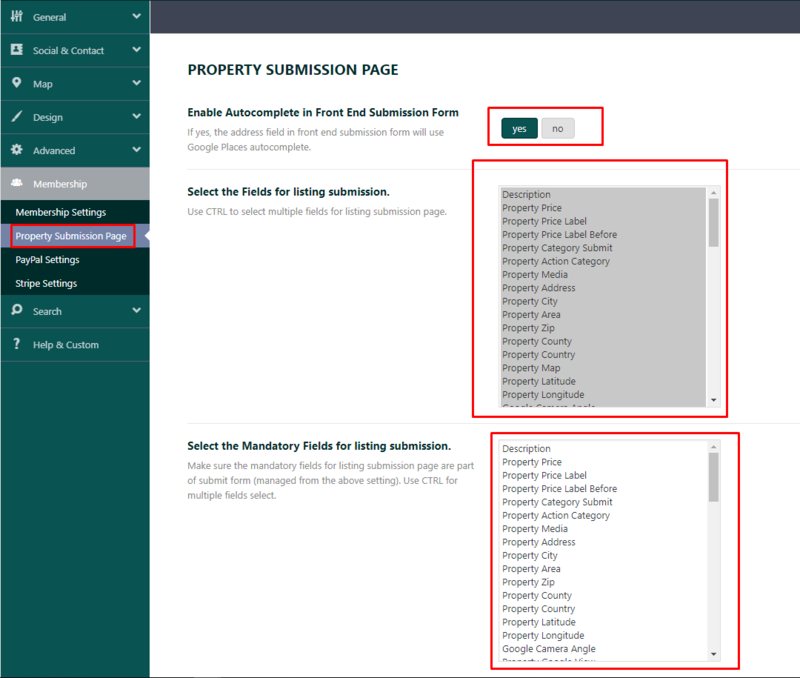 Custom fields show on property page – under Property Details, after default fields. Custom fields can be added to the custom advanced search.